A scandal broke out after Edward Snowden revealed the facts that Americans spied on allies and intercepted the conversations of Angela Merkel. It was clear that the information was just the tip of the iceberg. Actually it all had been known before but this time the relations became somewhat tense. 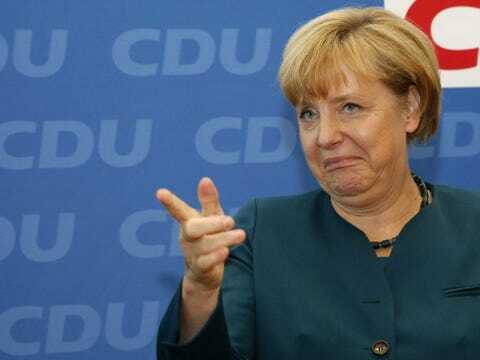 Angela Merkel had to say the things she was reluctant to pronounce (she said it was unacceptable), send delegations overseas and create a parliamentary commission. Still a lot of things were not said. Germans believe that silence is golden. Minister of Internal Affairs Thomas de Maizière calmed everyone down: those who abide by law have nothing to worry about. The information is gathered to protect them from terrorists. To join anti-terrorist efforts the Bundesnachrichtendienst (the Federal Intelligence Service - BND) and American National Security Agency (NSA) signed a memorandum of agreement in 2002. Internet greatly enhanced the opportunities to control information flows. In 2001 Germany inserted changes into its German telecommunications privacy law. The first law appeared in 1968 - the year of young people’s anti-capitalist protests. Back then the parliament approved a law restricting people’s liberties guaranteed by article 10 of the Constitution like privacy of phone conversations and communications. (Artikel-10-Gesetz, or G-10). Police got the right to control the lives of citizens. The law was reviewed in 2013, but its substance remained the same. The ballyhoo raised about the fight against terrorists scared people making them believe it was necessary to have their correspondence watched. A special parliamentary oversight commission is exercising control, but whatever it says at the sessions is never made public domain. The last report was published in 2011. After 2013 they tried to hush the scandal up. It was said that the help of Americans was useful as they employed cutting edge technology still unknown to Germans. Then it was revealed that Americans used German technologies too. For instance, starting in 2002, the National Security Agency sent surveillance requests to the BND with targets identified by so-called «selectors» – email address, telephone number or the IP address of a computer’s internet connection. The results were to be reported to American colleagues. Seven years ago BND employees noted thousands of these computer-automated requests did not come under the terms of categories agreed with the NSA in 2002, months after the 9/11 attacks. The people under watch had nothing to do with terrorism (around 2 thousand people according to press reports). Americans spied on German and French defence companies. BND decided that silence was golden and continued to carry out the missions assigned by National Security Agency. German Thüringische Landeszeitung asks «why is it so hard to express indignation? The answer is «…because those who rule Germany behave like vassals. They go and voluntarily serve masters fulfilling their military and diplomatic obligations». It’s hard to say anything against. And questions remain. Some of them are related to BND activities. It was established by Americans in 1956 by transforming the service headed by Major General Reinhard Gehlen. In 1945 he gave Americans valuable gifts: the documents of Hitler’s intelligence that US put to good use as Cold War was about to start. After a short voyage overseas the General went back to Bavaria to organize national intelligence in democratic Germany. All valuable information was reported to «headquarters» where decisions were made. The contacts between American and German intelligence services were very close with BND acting like a junior brother and sharing all its information. Today the situation is still the same; a senior brother is watching the junior brother through a key hole. It didn’t take long for a new scandal to break out. It was provoked by the Greens in 2013 when they asked about the results of the commission’s work. Der Spiegel wrote that BND provided the National Security Agency with classified data. The Bundesnachrichtendienst is accused of processing more than 40,000 requests from the NSA to spy on people, businesses and institutions in Europe. Among the reported targets: German arms manufacturers, the EADS aerospace consortium and the French government. Will there be consequences? Perhaps, it will be the same story as in 2013. Germans will talk and forget. The opposition wants the head of BND Gerhard Schindler to resign, but Christian Democrats stand their ground and defend him. German media tell readers that the Chancellor did not know about the BND practice, but who would believe that? New revelations only make Germans more convinced that their country is not a sovereign state. There is no way to escape from the crisis of confidence between masters and vassals divided by the Atlantic.